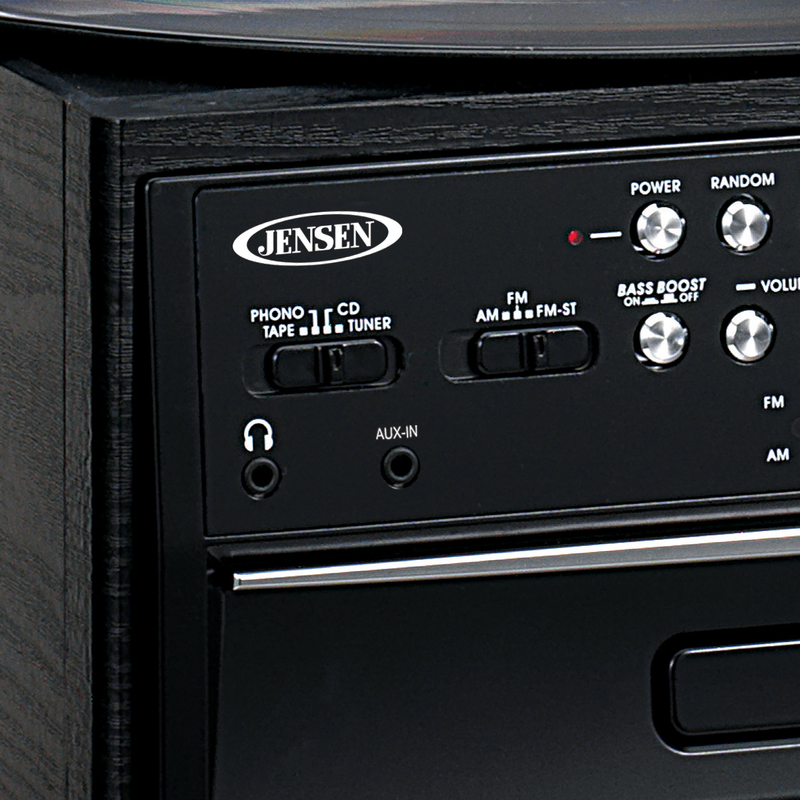 Dust off your records, compact discs, and cassette tapes and start listening to all your favorite music on the JENSEN® JTA-475 3-Speed Belt-Driven Stereo Turntable. 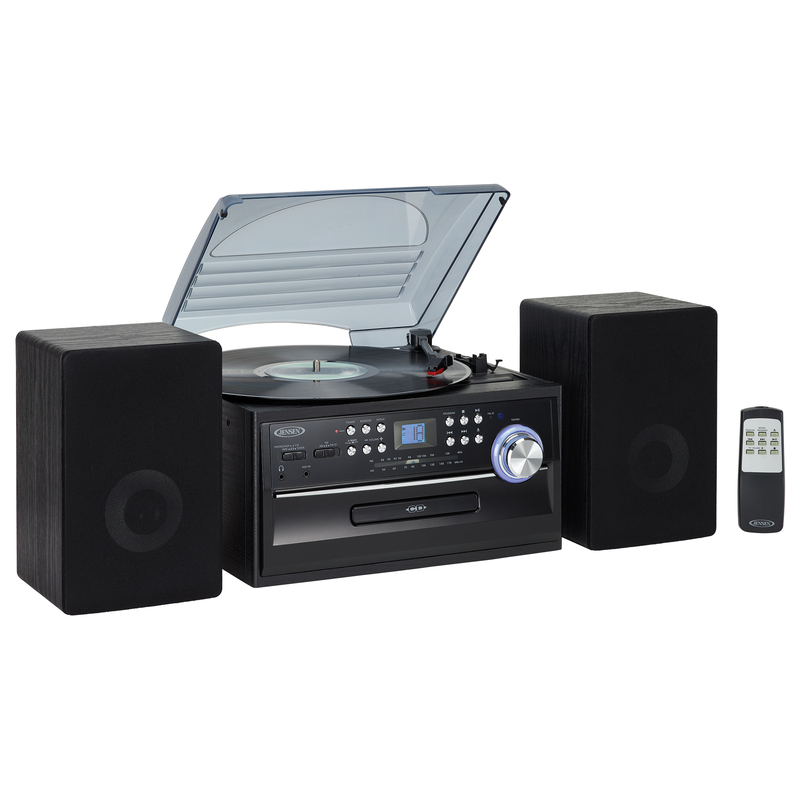 This unit comes with a CD player, cassette deck, AM/FM radio, and plays records at 33/45/78 RPM. 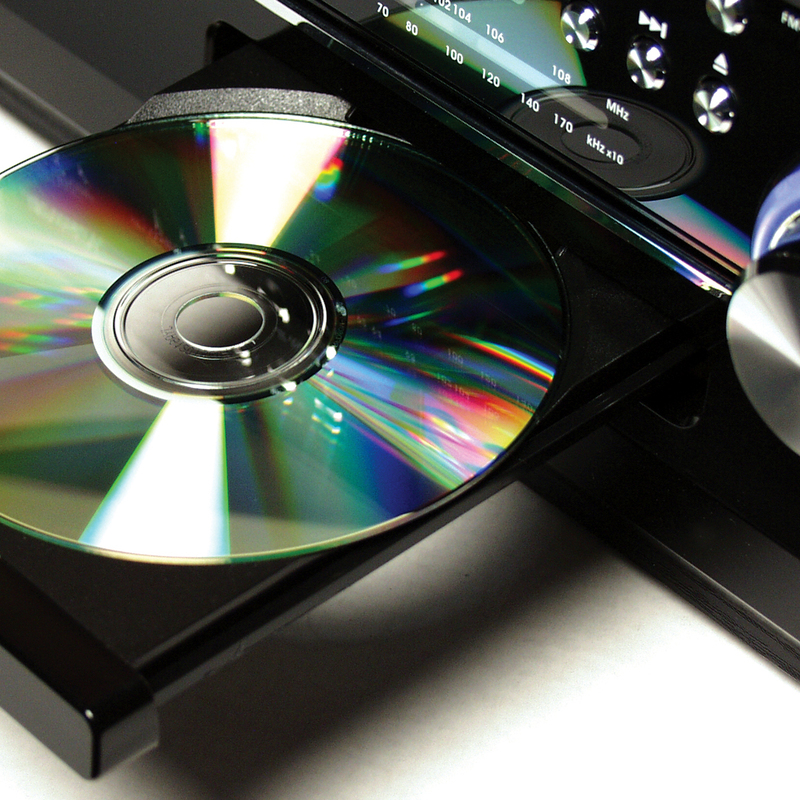 The turntable features a built-in pitch control and allows you to fine tune the record speed faster or slower for the perfect playback. 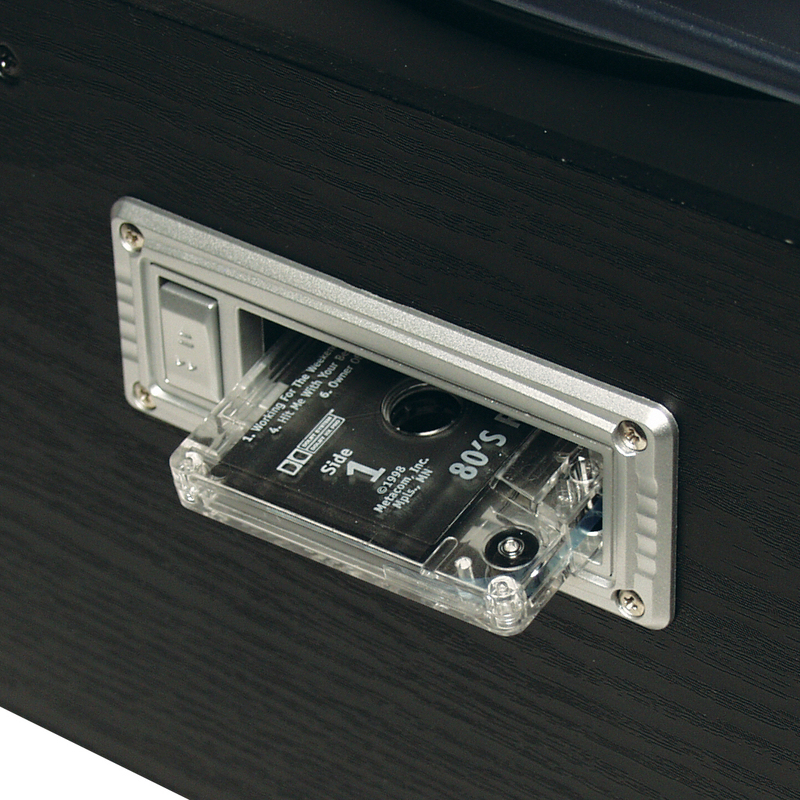 You also have the option of listening to your iPod®, MP3, or other digital audio players through the convenient auxiliary input jack connection. Listen through the speakers or your own stereo headphones (not included). Added features like programmable memory, bass boost, and a remote control make this music system hard to pass up. Listen to all your music your way with this great sounding and versatile JTA-475 stereo music system.